The land based casinos around Australia are some of the most popular attractions around the world, generating mass tourism to the country, and producing huge amounts of revenue for the national and state governments. Ironically, the activity so engrained within the Australian culture that more than 80% of its adult population gambles (a percentage confirmed by a report conducted by the Productivity Commission, along with websites such as www.problemgambling.net.au and www.abs.gov.au), is also significantly restricted when it enters the realm of ‘interactivity’ – that is, the Internet. 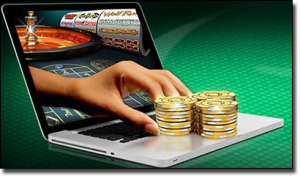 Online gambling was born from a software company now considered one of the Internet gaming industry’s leading and most influential organisations – Microgaming. Microgaming developed the first-ever fully functional gambling software in 1994, before the Caribbean nation of Antigua and Barbuda passed the Free Trade & Processing Act – an Act which granted permission for organisations to apply for licenses to open their own online casinos. As soon as financial transactions were able to be securely processed online, the first Internet casino was opened to the public. As online gambling fast gained popularity, so much so that revenues from the industry exceeded $830 million in 1998, the Australian government decided to pass the Interactive Gambling Act (enforced by the John Howard government) – an Act which prohibited any Internet-based operators to advertise or offer real-money interactive gambling services to Australian residents (both local and foreign owned companies). The growth of problem gambling and the necessity to develop an approach to minimise the negative aspects of online gambling were cited as reasons for the introduction of the act. Lasseters Online was the sole Australian-regulated online casinos in operation prior to the enforcement of the IGA. When the Act was passed, it became illegal for the company to take bets from local residents, and after nine years of operation, it pulled its own plug in 2008 following heavy financial losses. Today, Australian interactive gambling companies can still operate within our borders, but would only be allowed to market their services to residents located in countries and jurisdictions which license real cash online gambling and permit their citizens to wager. What is graciously accepted by many keen Australian punters is that the average Aussie bloke cannot be punished for accessing and utilising the real money online casino services available at any one of several licensed, regulated and registered Internet and mobile gaming sites. While such websites such as www.RoxyPalace.com and www.Thrills.com are technically in violation of the IGA, there has never been a serious attempt by the Australian government to stop these operators from offering their services to the general Australian public. This is most likely due to the fact that the Australian government does not have sufficient influence or power to thwart foreign companies from offering online gambling services. It is also imperative to note that the above mentioned operators adhere to strict online gaming regulations and rules set out by independent testing agencies (such as the eCommerce Online Gaming Regulation and Assurance agency), and are constantly monitored to ensure they provide fair gaming and player protection, and conduct all practices responsibly. When the IGA was introduced, it did not outlaw all forms of Internet betting; online sports wagering companies, so long as bets are placed prior to any events commencing, and online lottery organisations, so long as such lotteries were not considered ‘instant win’ style games, are still permitted to operate and hold licenses in Australia, and offer their services to Aussie residents. So where does all of this information leave Australia in the larger picture of worldwide online gambling legalities? There is some form of restrictions on the operation of online casinos for 56 per cent of the world’s population. There are 39 countries which ban online casinos outright. There are 32 countries which ban local and foreign gaming operators from offering real money online casino services, however many offshore operators still market their services to residents of those countries, with little or no threat from the governments of the countries where such activities are banned. Australia falls in to this category. There are 61 countries which allow casinos to operate with licenses. In more than half of those countries, the licensing requirement is enforced only on local operators. While foreign operators both with and without licenses do take bets, the officiating countries have little power (or simply are not willing) to stop those offshore operators from doing what they are doing. There are 93 countries which do not outright ban online casinos from operating, nor do they license them. With such diversity regarding online gambling rules among different countries, it is hard to predict what the future holds for Australian regulations. One assumption we feel confident in asserting is, that whether an operator is licensed or unlicensed within our borders, citizens will retain the ability to legally, and without fear of punishment, gamble safely on the Internet, with real money, on a range of different events and games, such as sport, poker, lotteries, blackjack, roulette, the pokies, baccarat, video poker and more. The article also states how there are plans in the works to give punters better access to personal data about their gambling behaviour so they can track their own losses and be informed if their actions are indicative of a problem gamblers. A sensible plan, this leaves the door significantly ajar for a proper reform in how we deal with an industry which has managed to progress at an exponential rate. It also contends how Australian punters cannot guarantee the safety of their personal information when gambling with an offshore operator. While we can certainly attest to the fact that sites like those mentioned above go to extreme measures to protect player data and funds (otherwise they would be found out and quickly go out of business), it can’t be argued that gambling with a registered local operator is far more comforting that playing at a foreign website. At BestOnlineCasinos.net.au, we firmly believe that the Aussie government should regulate and license online casinos, just like they do with online sports bookmakers. It not only would offer reassurance to Aussie players who would rather gamble with local companies, but it would also provide the government with a significant source of revenue. 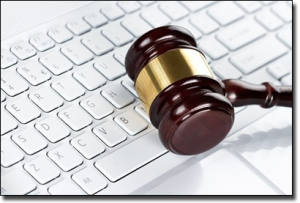 Let us know what you think about online gambling regulations, and on what side of the fence you sit, in the comments section below. As always, we endorse responsible gambling, and if you think gambling might be negatively affecting you or someone you know, you can seek help at one of the many anonymous online helplines.